We have been in business for over 30 years. We specialize in the latest trends in fresh and silks. Our goal is not only a unique product but personalized customer service. 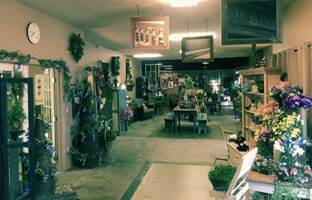 Our employees and designers want your experience at Lake Land Florals to meet your every expectation. We pride ourselves in the fact that we are known locally for our unique designs. Our delivery area includes surrounding communities and funeral homes. Our shop will always be closed on the following holidays: Thanksgiving Day, Christmas Day, New Year's Day, Memorial Day, Independence Day, Labor Day. Our commitment to you is 100% satisfaction on all your floral and gift purchases. If you are not completely satisfied, let us know by calling (217)258-6831. Our shop serves the following areas: Mattoon, Neoga, Charleston, Arcola, Gays, Lerna, Trilla and Windsor. 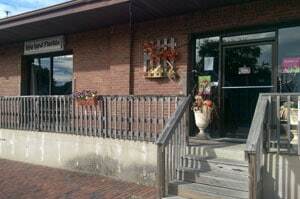 We are located in a historic railroad depot building. Our eclectic and unique decor is a mixture of antiques, home interiors and accessories to provide our customers with a warm, relaxing experience. We carry a wide variety of unique gift items such as Village Candles, plush animals, balloons, angels and garden accessories. We specialize in beautiful custom weddings from intimate to elaborate, tailored to your needs. If you have any questions or need more information, please contact us by e-mail at lakelandflorals@gmail.com or call us directly at (217) 258-6832. We're here to serve you, our valued customer. Holiday orders will not be delivered on the holiday. All holidya orders for out of town, will be delivered the day before the holiday. We are unable to make deliveries on Sundays (except funeral deliveries). Deliveries requested on this day will be delivered the following business day.